With January 1 behind us, we can look forward to our next little celebration of the passing of time: Chinese New Year. 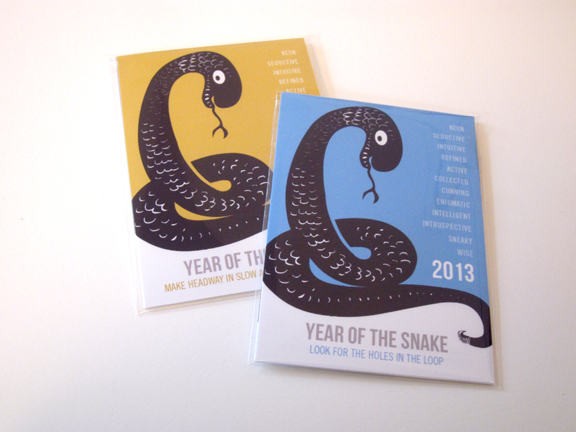 This year, February 10 marks the beginning of the Year of the Snake. This is a year of water Snake, and all things will be possible. Saving money and being thrifty should be your top priorities. Delusion and deception are common in the year of the water Snake. Stay alert! To gain the greatest benefits from this year, you must control spending and use your talents wisely. 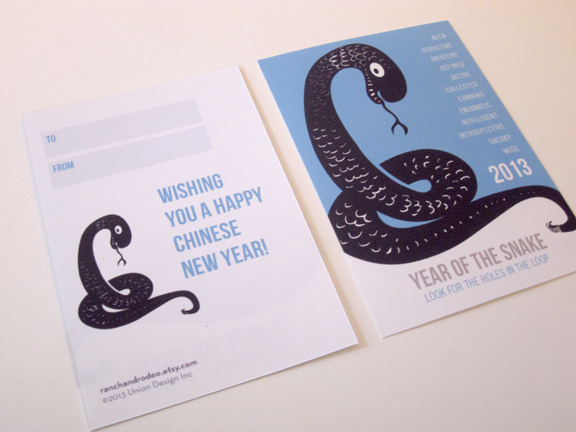 To honor this tradition, I’ve created a set of Chinese New Year mini-cards. 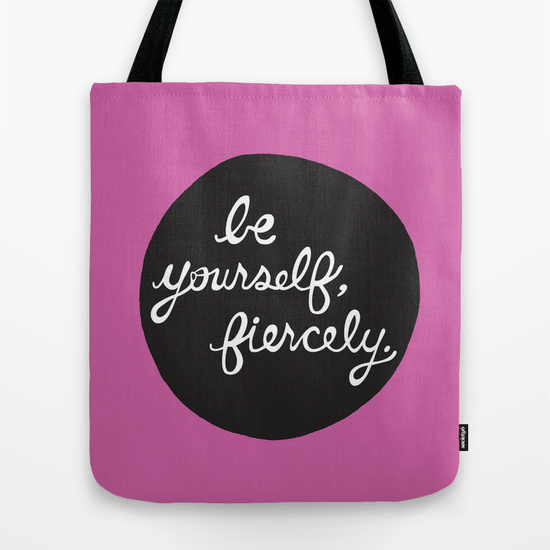 Each set comes with four double-sided cards, ideal for giving to colleagues, classmates and friends. 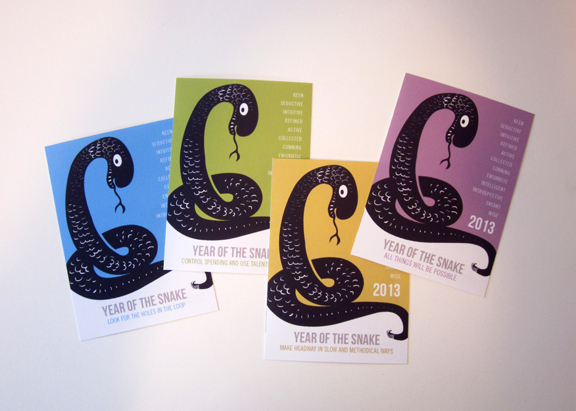 The artwork features a list of qualities associated with the Year of the Snake. Each card offers a different saying at the bottom, as a horoscope for the year.